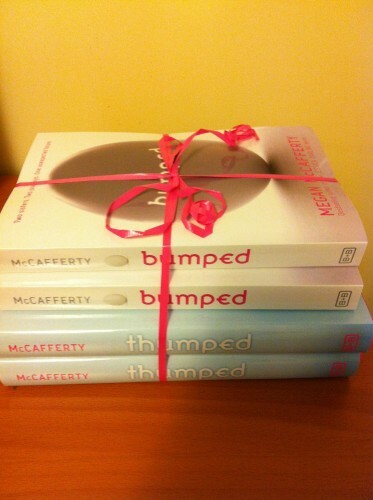 THUMPED: Now on sale in paperback! 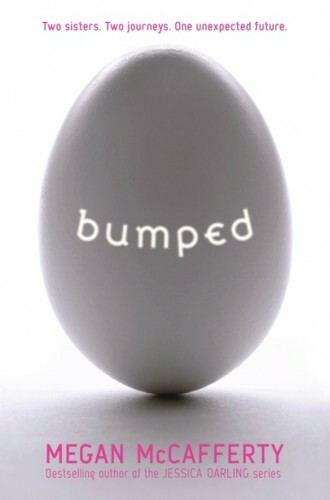 More Blogger Love for BUMPED and THUMPED! Here are the first 40-something pages of THUMPED. 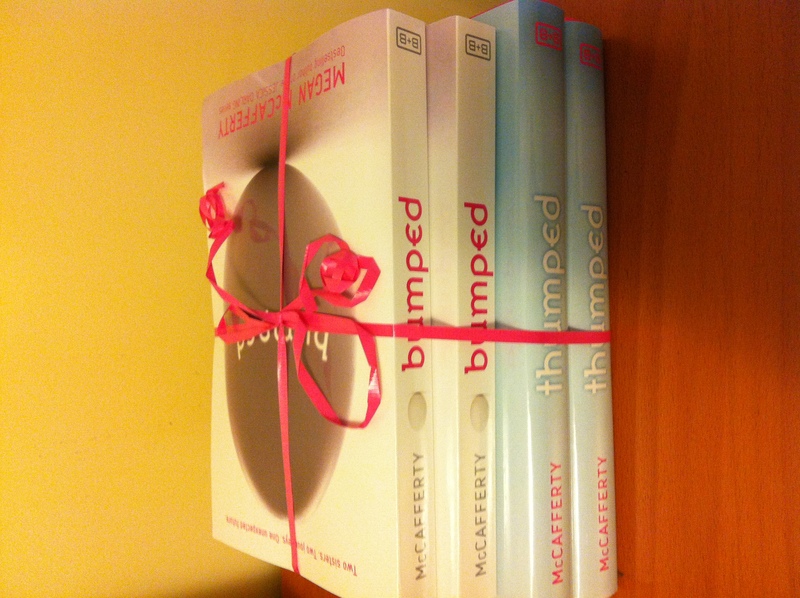 The sequel to BUMPED–the second and final installment of this futuristic satire–goes on sale April 24th. 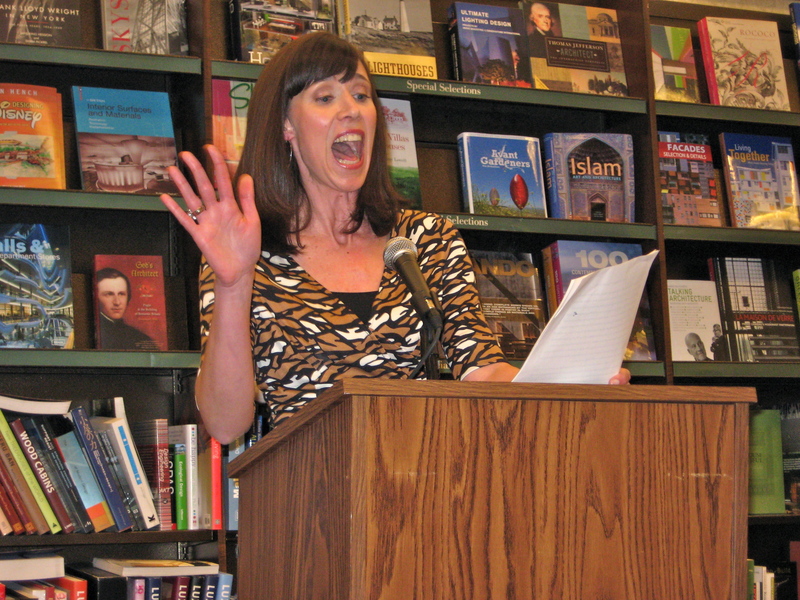 Kirkus called it “a sparkling, imaginative romp.” You should really read BUMPED first. Fortunately, BUMPED goes on sale in paperback also on April 24th. The second (and, yes, final) book in this series goes on sale April 24th, 2012. Under the right (terrible) circumstances, everything in BUMPED and THUMPED could happen. Two recent headlines show how it’s already happening. Readers, I present to you: real-life MiNet and FunBumps. 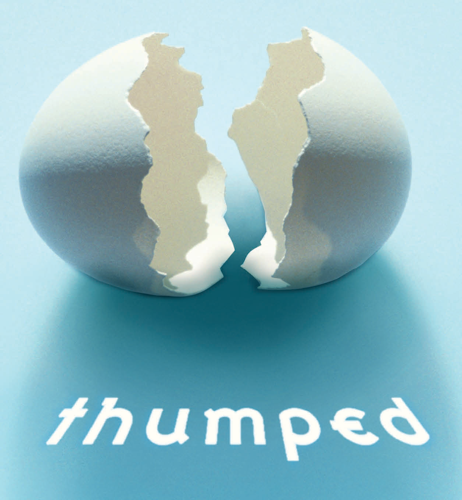 The second in this two-book series, THUMPED, goes on sale April 24th, 2012. Thanks to all of you who have already added it to your To Read list!